It’s becoming more and more apparent just how many health benefits marijuana has, and a new study has now revealed the drug also appears to help users to give up highly addictive drugs like heroin. Both the relaxing effects of smoking the drug and the use of THC – the ‘active’ ingredient in cannabis – have been credited as aiding those addicted to opioids like heroin. As reported by High Times, researchers at Columbia University monitored patients undergoing treatment for opiate addiction, discovering that patients who smoked herbal cannabis were more readily able to sleep, less anxious, and more likely to complete their course in rehab. 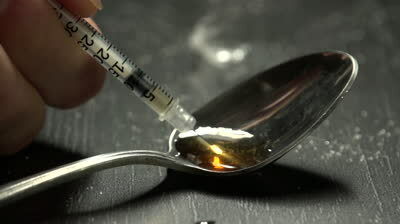 The data published in the journal Drug and Alcohol Dependence also reveals that researchers found giving patients doses of oral THC (dronabinol) helped them to cope with their withdrawal symptoms from heroin and other opiates. One of the interesting study findings was the observed beneficial effect of marijuana smoking on treatment retention. Participants who smoked marijuana had less difficulty with sleep and anxiety and were more likely to remain in treatment as compared to those who were not using marijuana, regardless of whether they were taking dronabinol or placebo. It’s yet another example of how coming up with new solutions to help drug addicts seems like a far better tactic than criminalising users. If only the UK government and so many others around the world would take heed.